Set fire to everyone’s hearts this Halloween with the Women's Ember Witch Costume. This classic Halloween icon is transformed into a look that’s all you own with this ensemble. 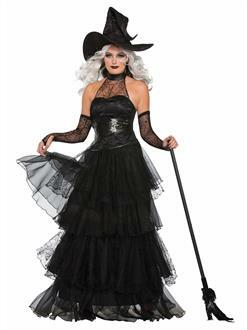 The Women’s Ember Witch Costume comes with a halter top with attached corset and skirt. Anyone will look jaw-droppingly awesome in this great outfit. Pick it up today and be sure to put up some flames wherever you go this Halloween.